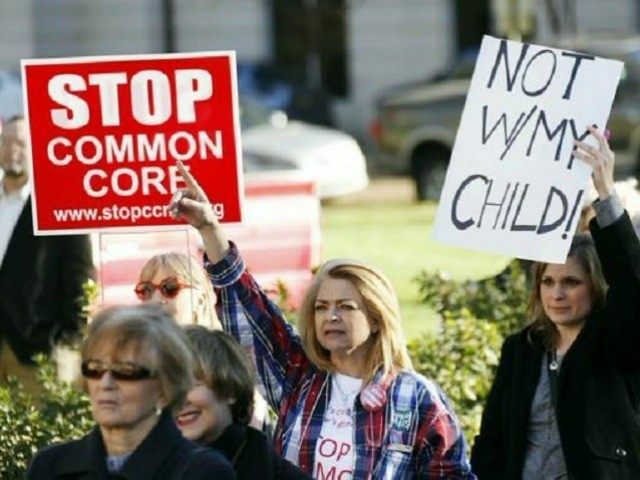 In an email interview with Breitbart News, Louisiana Rep. Brett Geymann (R-Lake Charles) said the often intensely bitter battle to extricate his state from the Common Core standards has resulted in a big win for opponents of the controversial education reform. Though Gov. Bobby Jindal (R) initially expressed concerns about the compromise legislation, he ultimately endorsed it. Geymann added that the Jindal administration, parents, educators and legislators worked for many long hours on the compromise bills. “Our efforts have resulted in a process that gives us complete control of our standards, provides an opportunity to hold our elected officials accountable for the new standards, and removes us from PARCC,” he explained. PARCC refers to the Partnership for the Assessment for Readiness for College and Careers, one of the two federally funded consortia that have been developing interstate tests aligned with the Common Core standards. The “compromise” is actually a set of three bills. The measure requires that upon adoption of new standards the state’s Administrative Procedures Act (APA) process would begin, allowing a 90-day public comment period and legislative committee oversight. The Governor will have the authority to veto any proposed standards changes. Kathryn Goppelt of Louisiana Core observes to Breitbart News the importance of this legislation. A bill authored by Senate Education Committee chairman Sen. Conrad Appel (R) allows the Governor to veto the proposed standards as a package, without line item veto power. A third bill authored by state Rep. John Schroder (R) requires the Department of Education to contract with another vendor other than PARCC for assessments for the 2015-2016 school year. Supporters of Common Core can take comfort that the deal states the standards will be used in Louisiana public schools for at least one more year, until new standards are developed by a review board. It is the review board issue that was the focus of much of the controversy over the legislation, since members have been recommended by their school districts and chosen by pro-Common Core state superintendent John White. The state legislature must review the standards, and the Governor must approve or veto them no later than June of 2016. If the Governor vetoes, the process of writing the standards must begin again. Both Geymann and Goppelt also note that Common Core opponents agreed to the compromise with the knowledge that the elections held in the fall of 2015 could well be in their favor. “The new BESE, the new state legislature, and a new Governor would all be sworn in mid-January of 2016,” Geymann told Breitbart News. He himself will not be returning to the legislature due to term limits. “This compromise gives our elected officials political cover and kicks the can down the road to a new BESE, Legislature and Governor,” Goppelt notes. Jindal has involved himself in several lawsuits in an effort to rid Louisiana of the Common Core standards. Wood observes the significance of the compromise in terms of how Common Core came to be adopted in Louisiana in the first place. The oversight by the legislature and the Governor’s veto power over the final standards, Wood says, is an important win, though she admits Common Core opponents will need the involvement of more parents and teachers in the process in order to achieve their final goal. “Their involvement in effective numbers will hopefully expose to this panel and BESE the undeniable and specific deficiencies with enough public pressure to correct the many wrongs of the Common Core,” she added.